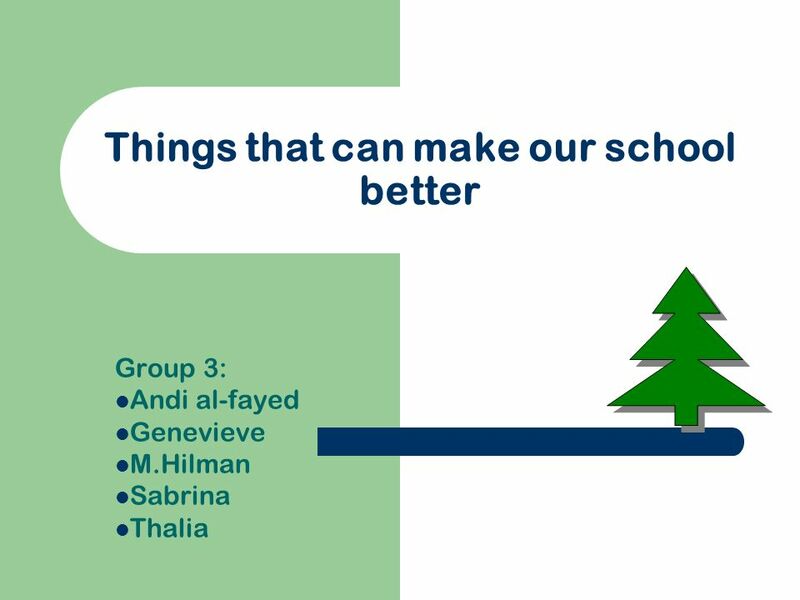 Things that can make our school better Group 3: Andi al-fayed Genevieve M.Hilman Sabrina Thalia. Download ppt "Things that can make our school better Group 3: Andi al-fayed Genevieve M.Hilman Sabrina Thalia." We sold peachs and they sold beans. The Affects of Pollution on the Digestive and Respiratory Systems By: Neer Shannon Dylan. Area How can I use multiplication to find the area of a rectangle? This is our school, San Juan Bautista. It is a bilingual school in Madrid, Spain. Initial set-up and use of OAS for Administrators/Coordinators. Properties. Three Properties of Addition: 1.Commutative Property of Addition 2.Associative Property of Addition 3.Identity Property of Addition. Our School Community 2790 Stanislaus Avenue School. I Am Responsible Vocabulary Talking About Our Environment When I Get Up In The Morning. Ma ke our world a better place!.  We want to try to put a big poster on a billboard to get peoples attention and it going to say “DON’T LITTER” help. © J. Christopher Beck Lecture 18: Timetabling with Workforce Capacity. Fair Use Statement Certain images included in this power point presentation fall under that Fair Use Exemption of the U.S. Copyright law. They have been. 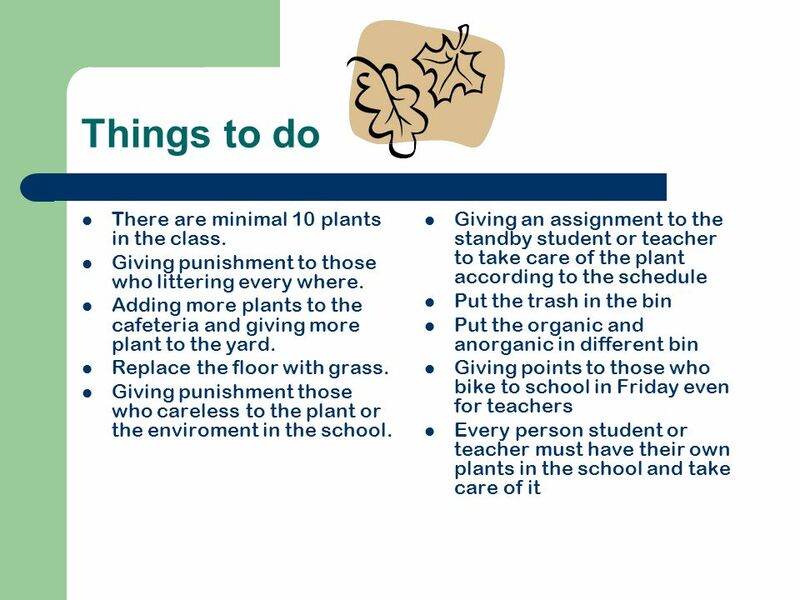 ABCs of Recycling and Conservation By: Kristen Johnson. Community Helpers. Attendance Monitor Take morning attendance count. Let teacher know who is absent. Move behavior pins up. Learning in Style Sandra Doran, Ed.D. TheTeacherTrack.com.